The GearWrench s-shape combination ratcheting wrench features a slim s-shape design allows for easy access around obstructions. The GearWrench s-shaped ratcheting wrench features reversing levers on both sides for fast, easy access. The GearWrench s-shape ratcheting wrench features Surface Drive on the box end, which provides off-corner loading for better grip and reduced fastener rounding. The 85352 GearWrench 3/4'', 7/8'' 12 Point Metric S-Shape Reversible Double Box Ratcheting Wrench is one of thousands of quality tooling products available from MRO Tools. 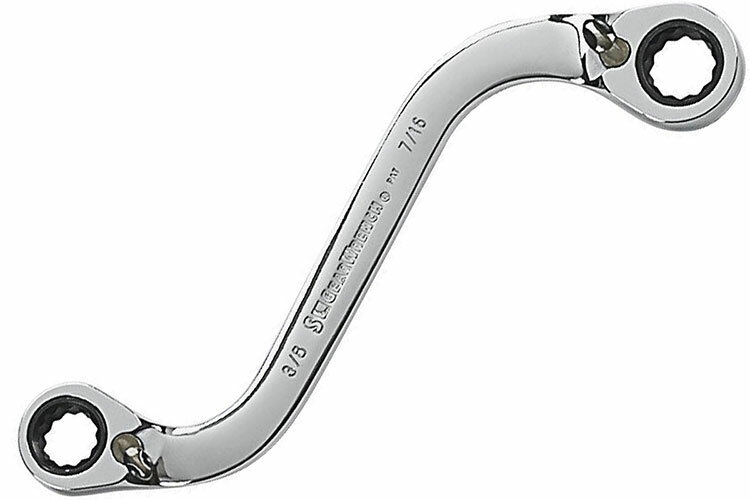 Please browse GearWrench S-Shape Ratcheting Wrenches for tools similar to the 85352 GearWrench 3/4'', 7/8'' 12 Point Metric S-Shape Reversible Double Box Ratcheting Wrench. 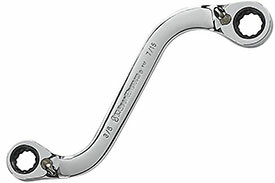 85352 GearWrench 3/4'', 7/8'' 12 Point Metric S-Shape Reversible Double Box Ratcheting Wrench description summary: GearWrench 3/4'', 7/8'' 12 point metric s-shape reversible double box ratcheting wrench Fastener Size: 3/4'', 7/8'' Point Size: 12 Points Open End Width: 0.512'' Open End Thickness: 7/8'' Ratcheting End Width: 1.339'' Ratcheting End Thickness: 0.441'' Quantity discounts may be available for the 85352 GearWrench 3/4'', 7/8'' 12 Point Metric S-Shape Reversible Double Box Ratcheting Wrench. Please contact MRO Tools for details.